Imagine walking down the hair bow aisle at one of your favorite stores and realizing that you can make some of the same pretty items that are marked for $5+ for just mere pennies. You can. You don’t have to imagine it. 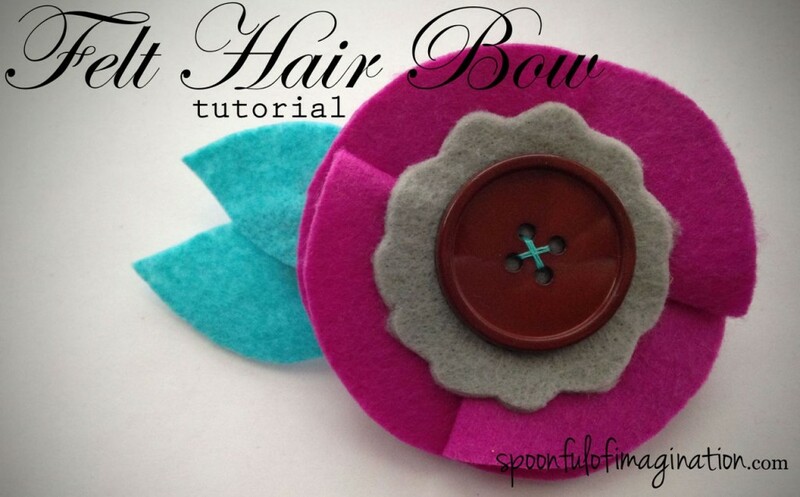 You can create this simple felt hair bow quickly. 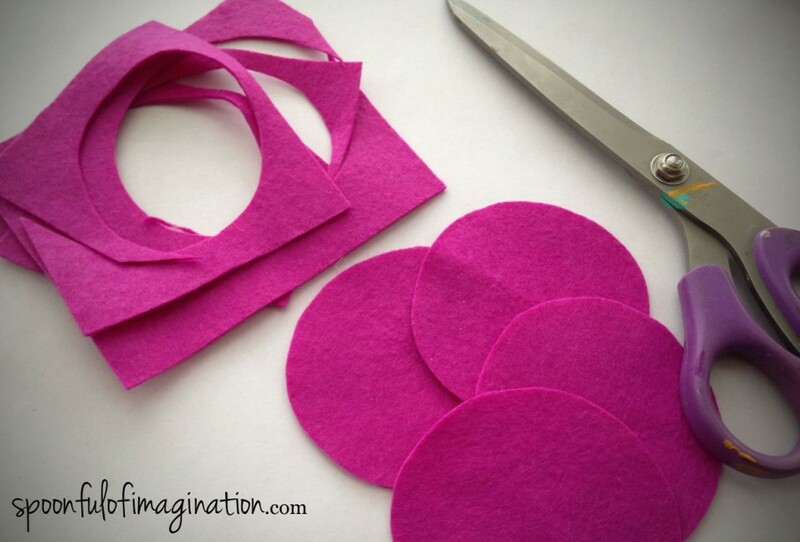 Pieces of felt are about $0.20/$0.25 a piece at craft stores. 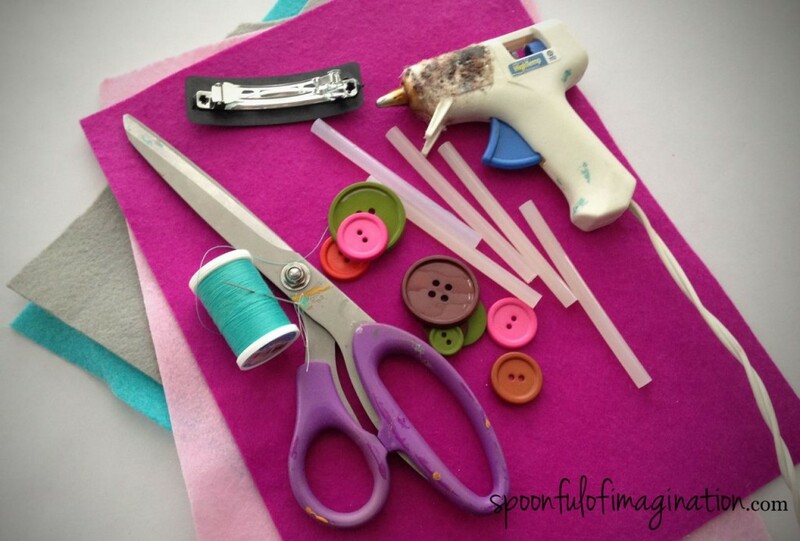 If you get a few colorful sheets, a handful of buttons, and pull out your hot glue gun, thread, needle, scissors, and some clips you are ready to start a masterpiece (or at least a little fun piece :)). The first thing you need to do is to cut out four circles that are the same size. 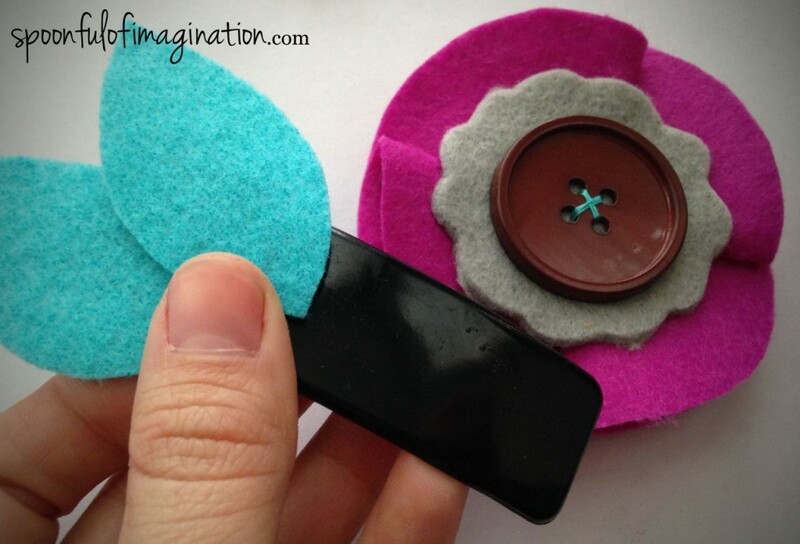 I eye balled mine, but you could easily trace the rim of a cup onto your felt and cut that out to get a perfect circle that you can be sure to have four of equal’s in shape and size. Next step, is to fold your circles in half and place them intertwined with each other as shown in the picture below. This step may look harder than it actually is. Have you ever folded a cardboard box top closed where each flap had one corner sticking up? It’s kinda like the same concept. 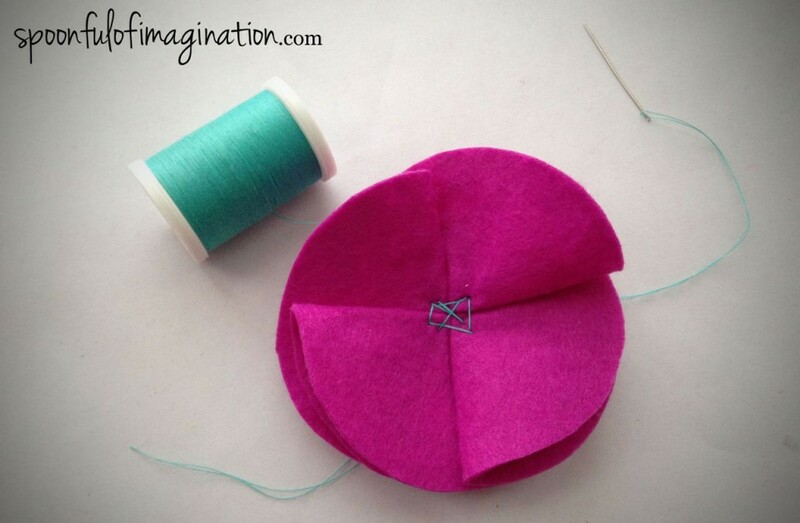 With all four of your felt circles folded in half, stack them while rotating each one so they have that intertwined affect. 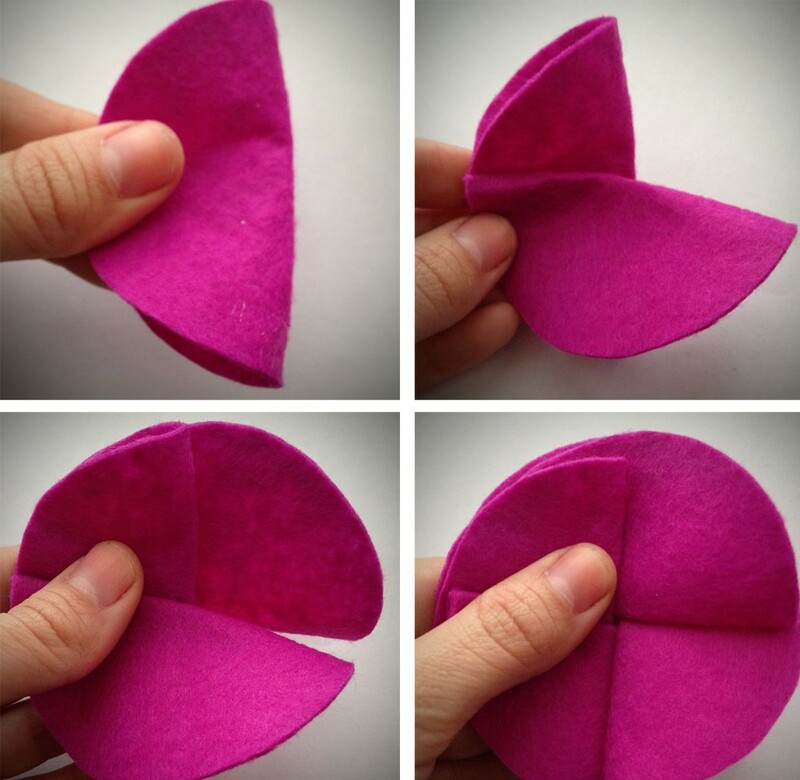 By the time you have all four folded and pinched in your hand it should look like a complete circle with half of each felt piece facing up. It gives your flower a fun 3D kind of texture. I then used my thread and sewed stitches all around that caught all four circles and bound them together. Before completing knotting my thread and cutting the threads off, I cut out a scalloped circle and sewed that and a button on top of all my first ugly stitches. I then knotted the thread and cut it off my felt flower. 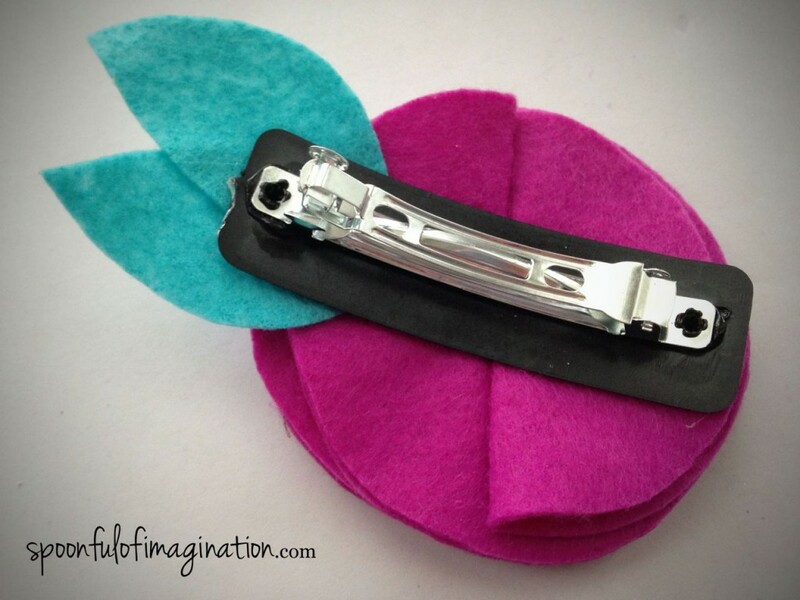 I wanted to add another color to my flower, so I cut some leaf petals and hot glued them onto my clip. I then simply glued the felt flower on as well, and it was done! 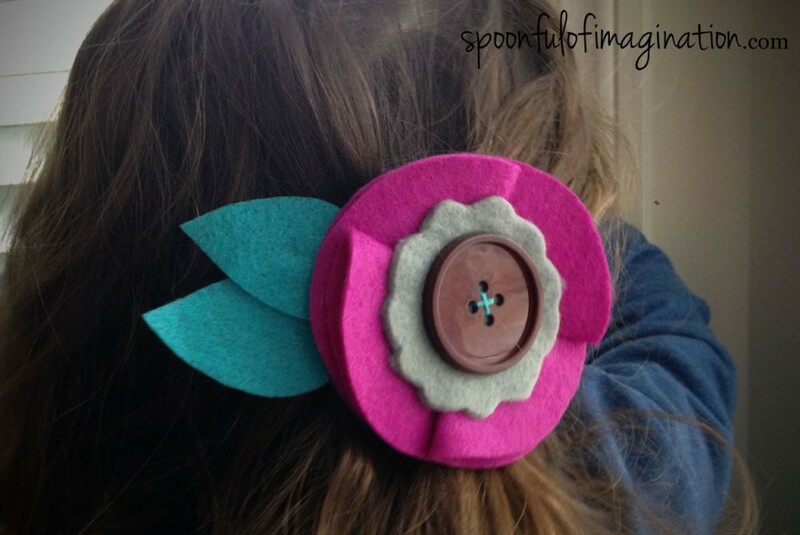 One of the beauties of knowing how to create these felt hair bows is you can make as many as you want and personalize them to each child or outfit and not break your bank account. 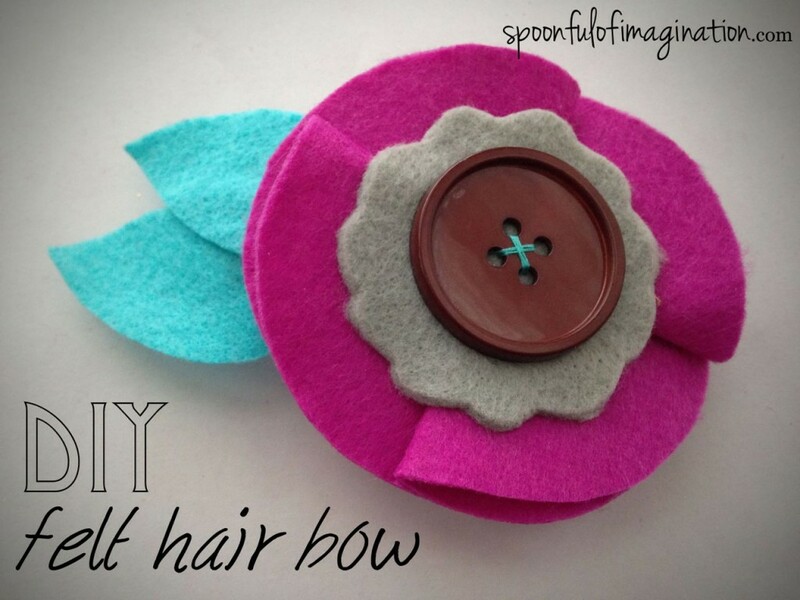 Giving hair bows is a fun personal gift and you can also use the same steps of creating this felt flower to make a bunch of flowers and glue onto a wreath, sew onto a shirt or bag, or even glue a small one onto a greeting card. There are lots of possibilities, if you just use your imagination! Do you love felt too? 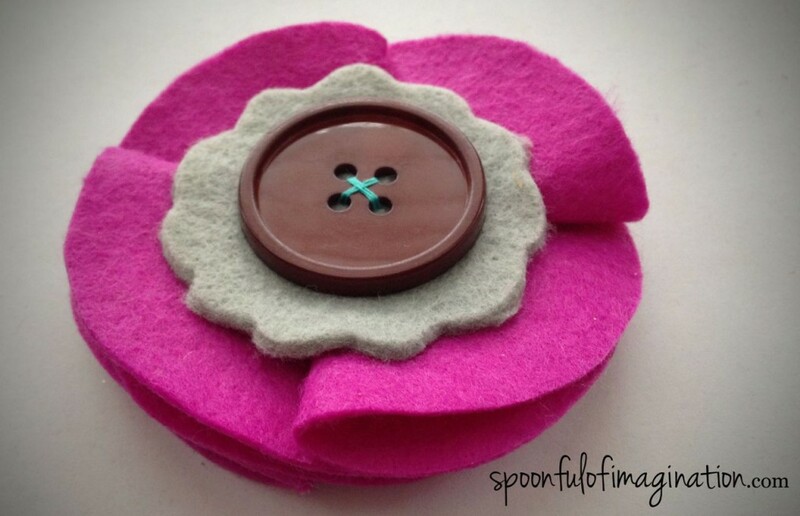 All these cold winter days make me crave a good felt project. Something like this would be an easy Valentines gift to make your little girl or use as party favors! 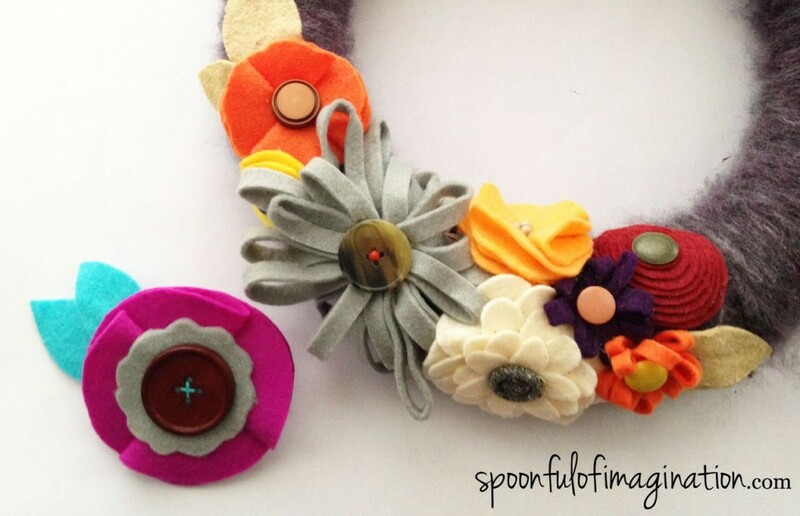 What would you do with some felt flower creations?